I haven’t written for a while, it is simply because I am busy with both working and traveling. Still working in Shanghai and traveling around Asia. This weekend I was visiting Hangzhou and while waiting for the train I was brainstorming with myself for improvements at "ticket vending machines". Those ticket machines you see often in subway stations. The past weekend, I had to wait in so many lines to buy a “single journey” ticket at the subway ticketing machines, it made me realize that these machines probably have never been user tested and that there is not any analytics used to test and optimize them. For here I use an example of a ticket machine in Hangzhou, China as here is the headquarters of Alibaba , so they should be able and eager to develop solutions for the users of these machines in this city, but it is not limited to here, the UX of subway ticketing machines is dramatic all over the world. I always surprise myself about how horrible these systems are. But if there is one country where they can make this better it is for sure coming from China. Here in China there are so many people always lines for these machines. As of course in the future facial recognition or a universal mobile phone payment system, can be a big problem solver for now I just focus on solutions on the UX of the “ticket machines”. Let’s start with a few improvements for foreign tourists I thought of. How can technology make these machines better, make sure there are less lines and make city traveling more smooth for everybody. It should be possible to make voice recognition work in a busy, noisy environment. Why not let tourists (at least in English) mention their station or their point of interest by voice? If a user mention a point of interest, show an image of the POI and the user can buy a ticket to the nearest station. If a user mentions a station name in English, just show the station name and let the user confirm. When a person approaches the machine, facial recognition must be able to recognize at least for example, Caucasian, Indian, Asian, African etc. Based upon that the interface can be adjusted (f.e. start with English instead of the standard Chinese. This again saves some time because the user does not have to search for the "English" button). Payments are always an issue, but machines should be able to handle multiple types of payments. Coins, notes, Alipay, Wechat pay and credit cards. Number one frustration is when you pay by banknote and you get many coins back, number 2 frustration you want to pay with coins but the machine only accepts notes (or vise versa). I have seen machines (at least in China, Kunming) who return banknotes. Why not make this a standard approach? Why not offer more payment methods? If you follow a user journey, users always (after they purchased a ticket) look again on their mobile phone or subway map, to see which subway to catch. Why not make “re printable” tickets. Tickets that just print the just purchased itinerary on the backside. . Here in China often you can choose Chinese (standard) or English (mostly). But with current memory capacity and machine translations it should be very much doable to offer at least the top 10 languages in the world in the interface. I mean even most web shops have it, so for an interface that does not change a lot it should be doable. It will speed up the ticketing process a lot. Now here in Hangzhou at least, you have to choose a “station” (or a line). But it means you need to know the location of the station in order to find it quickly. Suppose you know your station’s name. It is not possible in the current interface to search for a station name, you only can have an overview on a visual map. Not convenient for most users. So make it possible to have a station list at alphabetical order. If the city is bigger (like in Shanghai) you have to select a line first in order to find a station. Also here a station list on alphabet i.c.w. with a line number can help a lot. In a tourist city like Shanghai, give the user an option to select major tourists sights. Just pictures of the famous most frequently used tourist sights, just with one or two clicks they can order one or multiple tickets to a tourist site instead of a station. At the screen the station name is confirmed and at the ticket the route is printed. 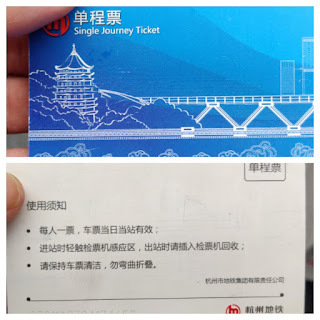 Here in China, but also in other cities in Asia and Europe, there are always separate machines (and often there are no machines) to buy “magnetic cards” that can be charged and used multiple times to travel. But always you have to figure out how to get them. Mostly it is a separate machine or a ticket counter. But these magnetic cards are ideal to buy via the "ultimate ticketing machine" as well of course. Why not give this option in the generic ultimate ticketing machine instead of a separate machine? Do you want to purchase a magnetic rechargeable card or a single journey card? Do you want unlimited travel for 1,2,3 or 4 days? Or do you just want a single journey card? Something like that, with 3 or 4 questions you can make everything clear for the user and make him or her a happy subway user. Commercial distractions cannot be provided in the UX of the ticketing process. The sole goal is to provide quick ticketing and to avoid lines before the machines. However the after purchase process can have commercial incentives. 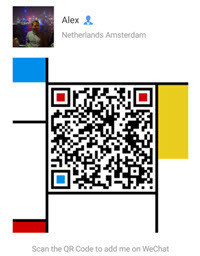 Think about printing a QR code on the ticket with a commercial incentive at or near the destination, or just a commercial message, users can take a picture of the ticket and follow the instructions. It should work both without and with internet connection. Many times you can buy at a machine a ticket for one way to a destination (f.e. Bangkok MRT), but they never give the option for you to buy a return ticket to a destination? Why not as people have to line up again for the return trip making it more annoying for everybody. Of course Chinese tourists can use partly the same functionality as foreign tourists. Inhabitants of the city usually require not a single journey ticket, they already have a magnetic card or simply use their mobile phone (as is very common in China) to travel. In stead of printing a ticket, show a QR code, after the transaction, the user can take a picture and use it to make the transfer.I guess Bluetooth transfer will take too much time, so by taking a picture it might speed up. It saves paper tickets, good for the environment and maybe a worth wile test. Offer combined bus and/or taxi tickets for destinations nearby a subway station. Often you have to transfer to another form of transport. Why not combine the tickets. Especially for taxi’s in a foreign country a fixed price avoids hassle with the taxi driver and can be beneficial for both parties. Of course taxi stand should be occupied at such a station. Here in Asia, stations are usually large sometimes huge, many exits are available. Taking the wrong one results in walking back a long time. Use Augmented Reality to show users which exits to take, by scanning a ticket, show them how the end station exists look like and which one they can take for which spot/street. Prepare them for exit already in the subway. WiFi in order to offer the best experience free (and fast) WiFi should be available at all stations and subways. Not a difficult sign in process as often now is the case (especially for foreigners). Often there is a large line in front of a ticketing machine but several meters away there are additional machines that have no line. So why not install "intelligent signage". Sensors detect how busy it is in front of the machines sections in a subway station. With arrows pointing the correct directions and indicating the distance. Below the arrows a color (red, orange, green) indicates the business of those machines so the user can decide if it is worth to walk to the other section of ticketing machines. traveling without tickets is possible, improving the UX of the ticketing machines is a way to go. I hope one day I will use the ultimate ticketing machine (or that I can help improving the UX of those machines).